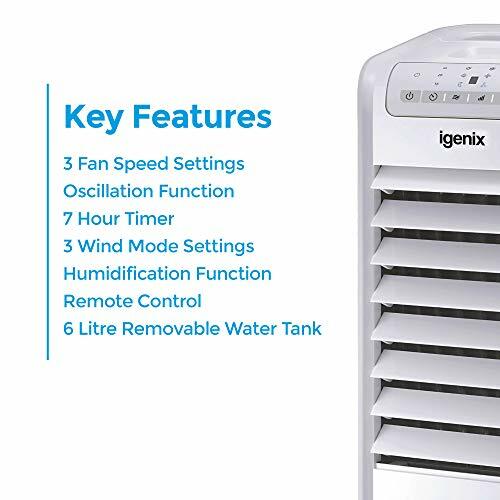 Stay cool and comfortable this summer with the Igenix IG9703 Evaporative Air Cooler. 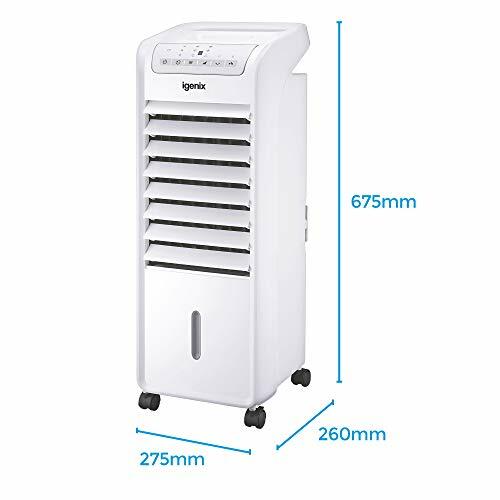 It has a powerful air cooler, humidifier and air cleaner that does not require venting or installation and is ideal for well ventilated small to medium rooms or as a personal cooler. This air cooler cools the air by means of evaporation. When cool water evaporates into the air, the result is a mixture of cold air and mist. 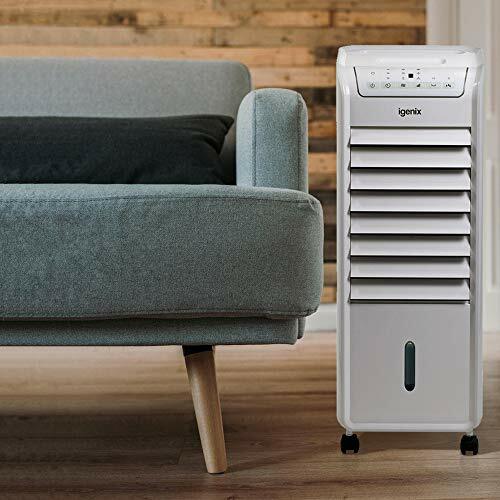 This slim and stylish, portable model is ideal for creating a comfortable cold air breeze through your home or office. 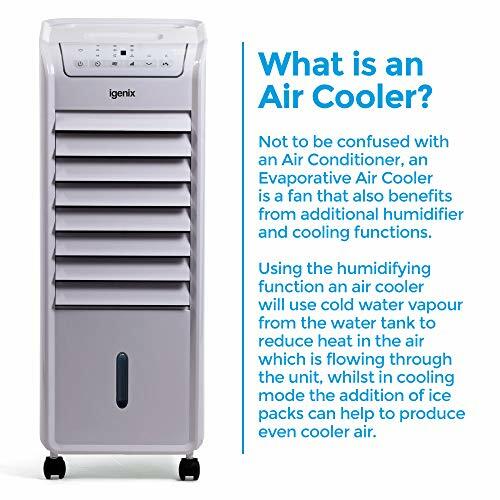 Air Coolers can be used as an alternative to traditional air conditioning units, in comparison Air coolers are more environmentally friendly and they are more cost effective plus they can humidify and clean the air as it cools. 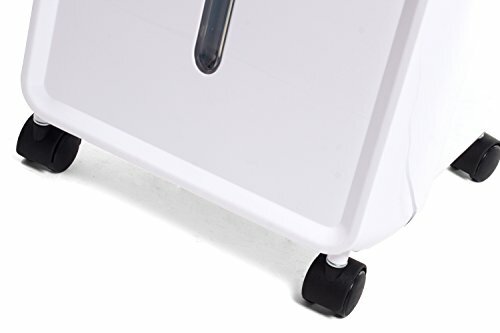 With big carrying handles and castor wheels the Igenix IG 9703 and be transported around your home or office with easy. The closed front grilling prevents dust build up and impurities blocking the airflow. 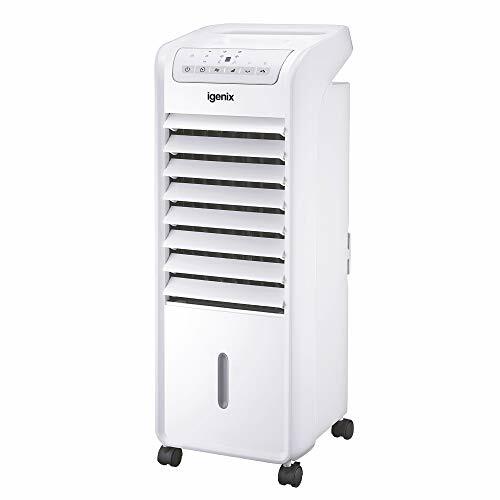 The Igenix IG9703 Evaporative Air Cooler is also GS, CE and EMC approved. Features. 3 fan Speed setting. 7 hour timer setting. 3 Wind Speed. 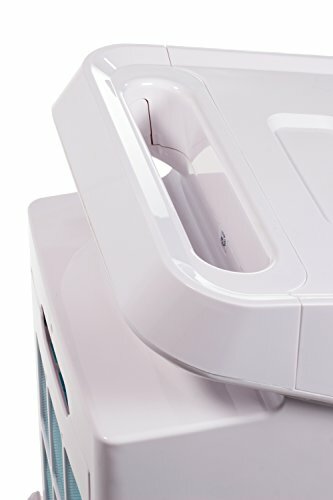 6 Litre Removable Water Tank. 300m3/hour Airflow. 55W Power. 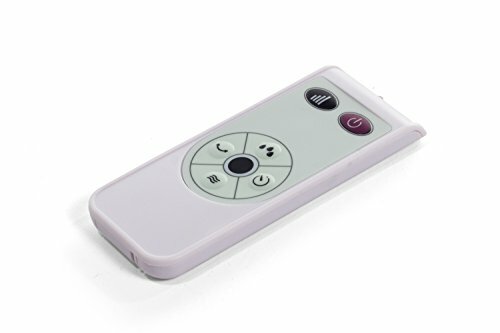 Humidification Function. LED Display. Oscillation Function. Ice Chamber. Dimensions: 67.5 x 27.5 x 26 cm (HxWxD).